West Coast Think College Coalition is the regional hub for Think College. It is a collaboration of higher education professionals, transition educators, inclusive college advocates, parents, and youths age 15 – 25 in Oregon, Washington, northern California, and Idaho. Working collaboratively, we successfully advocated for a college program at PSU. Together we will explore best practices and innovative programs to builds partnerships and collaborate to create more post-secondary inclusive options for students with intellectual/developmental disabilities in the NW region. We encourage you to join us to bring about powerful, positive change! If you would like be a part of this work, please email tcioc@abicommunity.org. College options are more of a reality for students with intellectual disability than ever before, but there's still much work to be done. Patrick is a young man from California who is helping lead the charge for college options along the west coast. I am 24 years old. I go to college. The program I am in is called TCIOC or Think College Inclusion Oregon. Think College Inclusion Oregon Coalition (TCIOC) is incredibly honored and excited to be leading the effort to increase post-secondary education opportunities for students with intellectual and developmental disabilities. 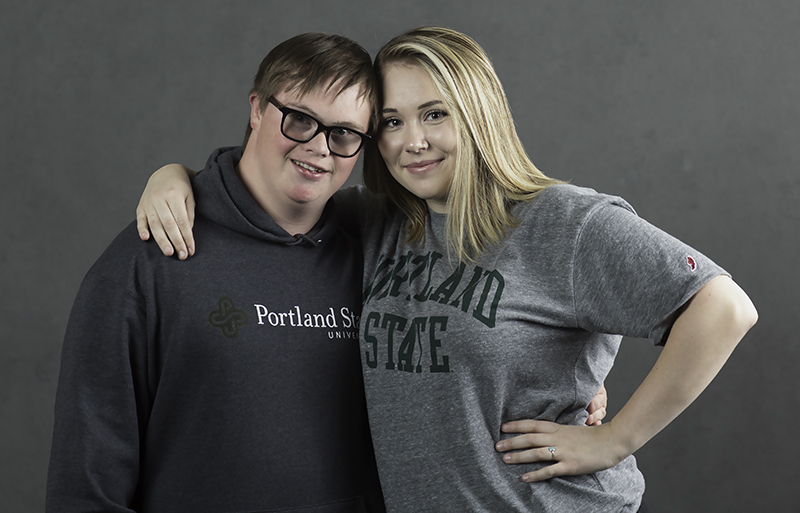 For the first time in Oregon, individuals with intellectual disabilities will have access to an inclusive postsecondary education at a four-year university, thanks to the efforts of Think College Inclusion Oregon, Northwest Down Syndrome Association/All Born (in), and Portland State University. 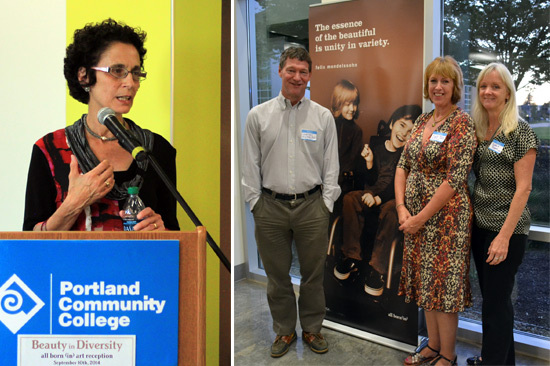 The “Beauty in Diversity” art reception at the Portland Community College SE Campus, Sept 2014. This exhibit was sponsored by All Born (In) and featured images celebrating our common humanity by Jodi Collins Photography, and remarks from OEIB Chair Dr. Nancy Colden and PCC board member Courtney Wilton. The event was Funded in part by the Oregon Council on Developmental Disabilities.